WELCOME TO P. G. AUTO CENTER, we are a full service auto dealer in existence since 1989. Specializing in foreign and domestic cars, servicing Montgomery county and the tristate area; Philadelphia, New Jersey and Delaware. Most of our car comes with 30 days power train warranty and auto check report, we accept trades. 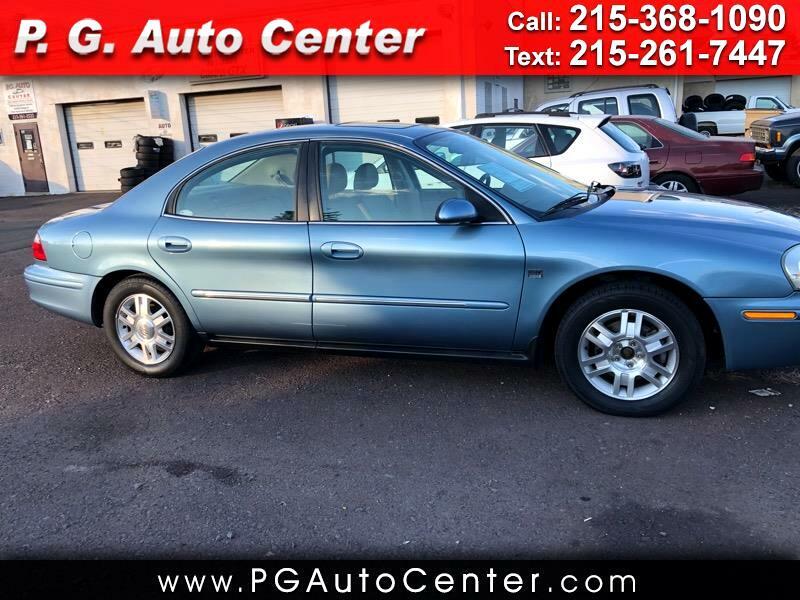 See more cars on our web site at www.pgautocenter.com or you can reach us at 215-368-1090 or 215-237-6919 cell. You can always call us for after hour appointment. We believe everything we do should be for the greater glory of God. Our priority is to serve our fellow man to the best of our ability. We want our customers to see Christ in us and in everything we do. Tell it to your best friend. Message: Thought you might be interested in this 2005 Mercury Sable.